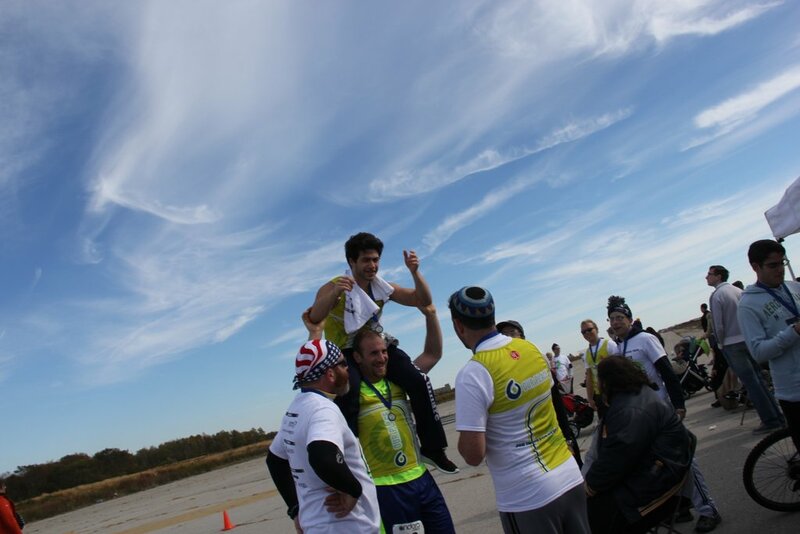 Several hundred people laced up their athletic shoes this past Sunday morning at Brooklyn’s Floyd Bennett Field as they gathered to show their support for Our Place with a fundraising 5 kilometer run. 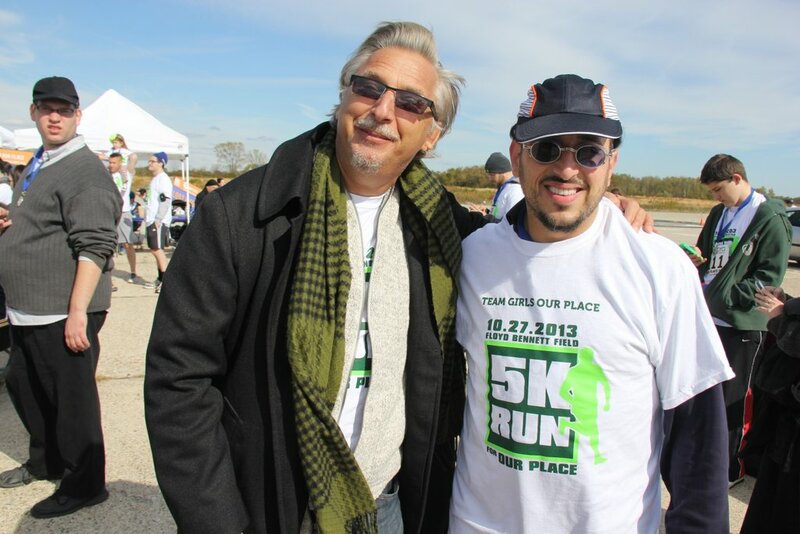 344 people were registered to traverse the 5K course with separate races held for men and women, in order to raise desperately needed funds for the teen drop in center that also offers programs and other services for Brooklyn young adults. 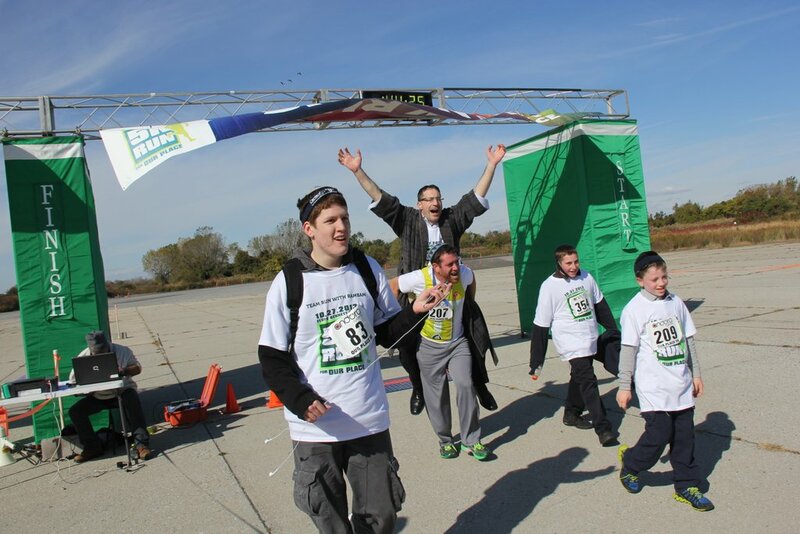 Event organizers estimate that approximately 500 people were in attendance for the morning’s events which also included a concert by superstar Lipa Schmeltzer, a bounce house for children, cotton candy, popcorn and pizza. 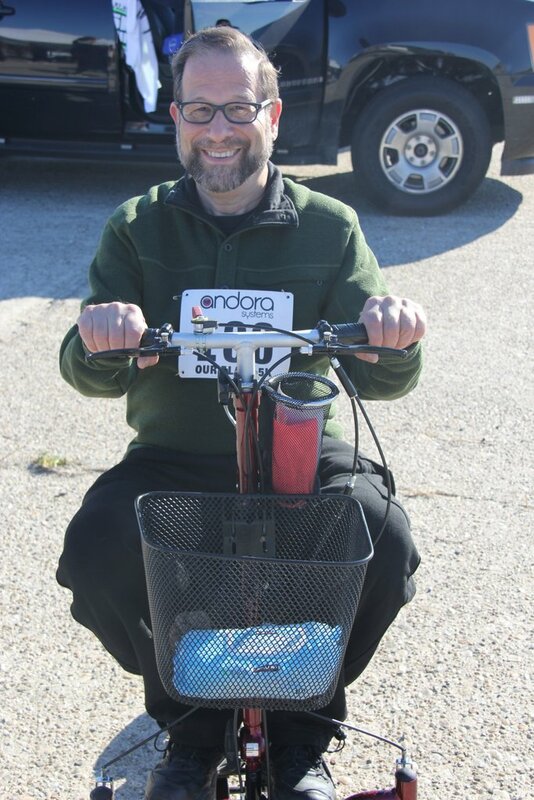 Our Place’s executive director, Rabbi Aryeh Young, called the event “a huge success” noting that Our Place exceeded its financial goal of raising $120,000 by over $15,000. 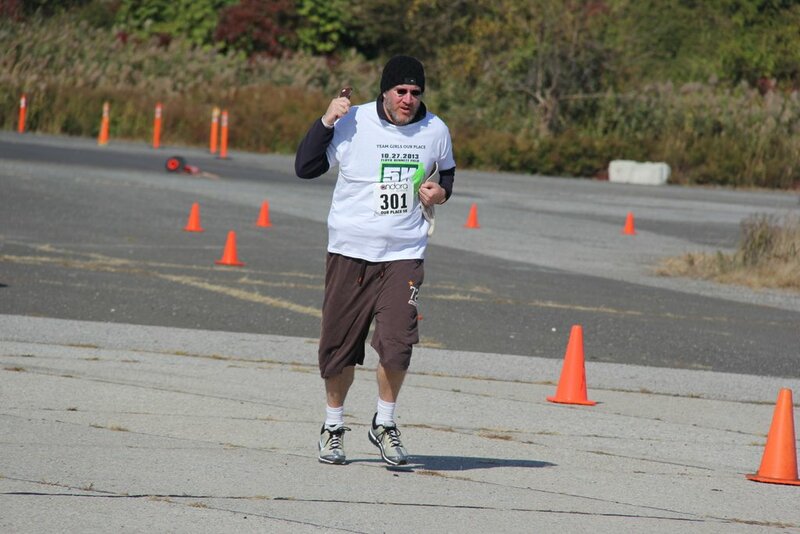 Adding to the excitement that was already crackling in the crisp morning air, was the ability to run in teams, something new for this year’s third annual run. 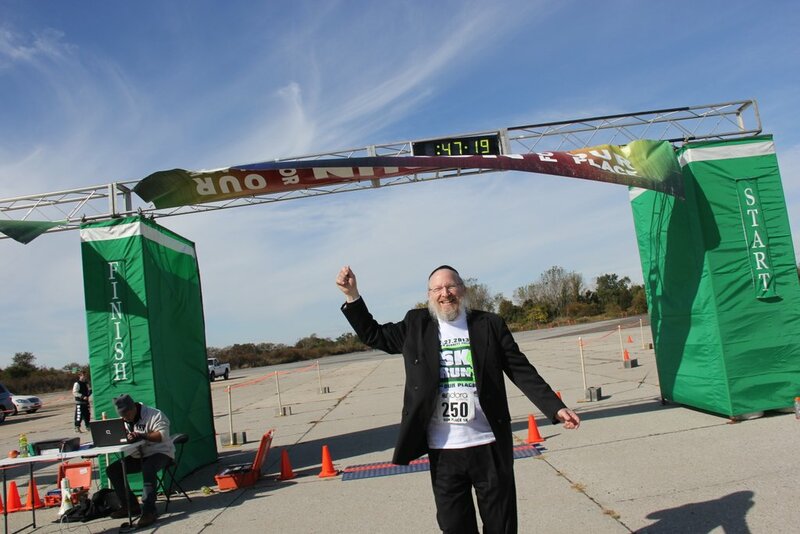 “The team concept was perfectly in sync with the motto of Our Place, which is ‘Nobody is in it alone,'” said long time Our Place activist Rabbi Zvi Gluck, whose eleven person Team Gluck brought in the largest amount of money, over $25,000. 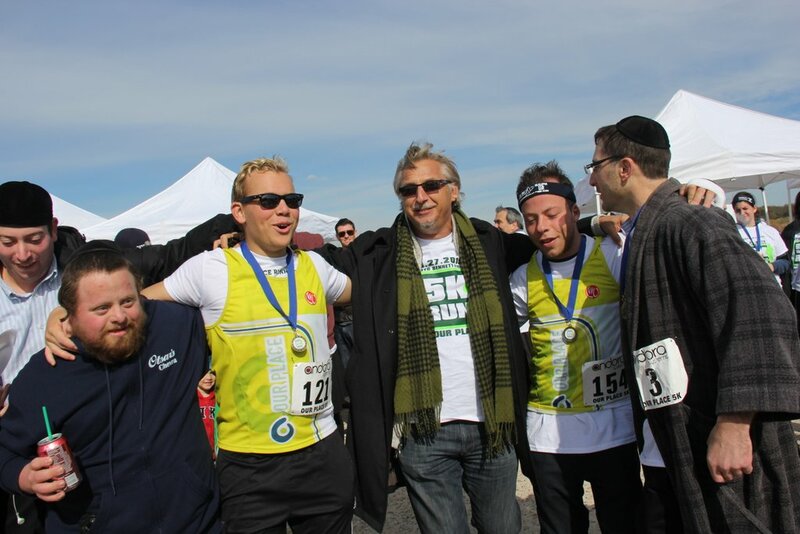 Among those running with Gluck were his wife, his four children and his mother and his father, Rabbi Edgar Gluck. 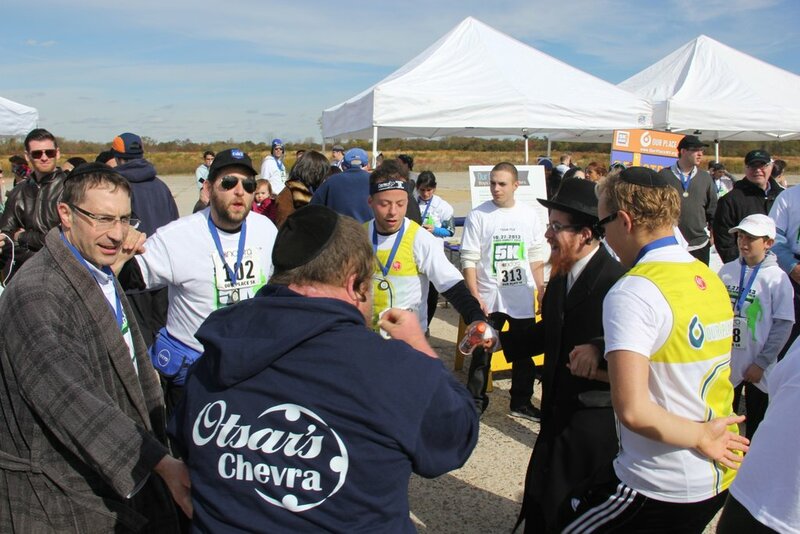 Among the other teams registered were groups from the Hebrew Academy of Nassau County, Rambam Mesivta in Lawrence and Run 4 Rivka, a 35 person team created in support of 20 year old Rivka Apfel from West Hempstead who is recovering from a recent liver transplant, with Rivka herself stunning participants by showing up and completing a portion of the race. 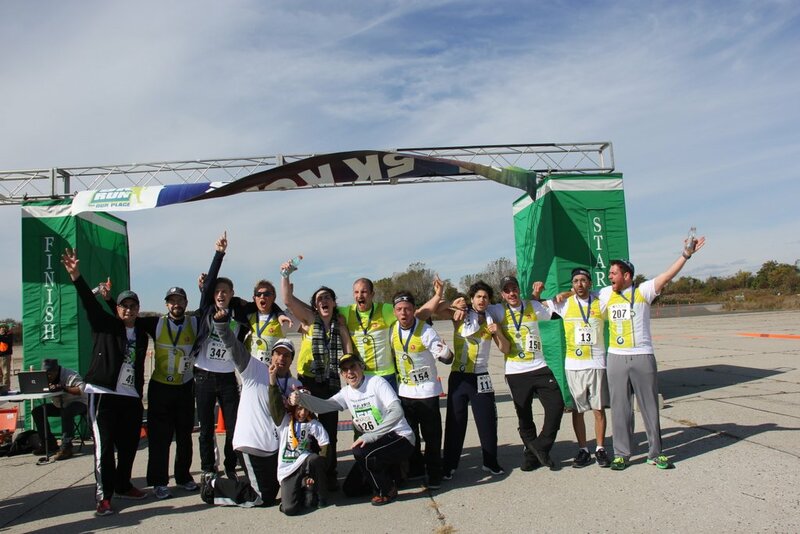 A team from Our Place’s Living Room program was the largest group that ran the race, featuring over 40 runners and Our Place also fielded both separate boys and girls teams, with a combined registration of over 30 participants from its drop-in centers. 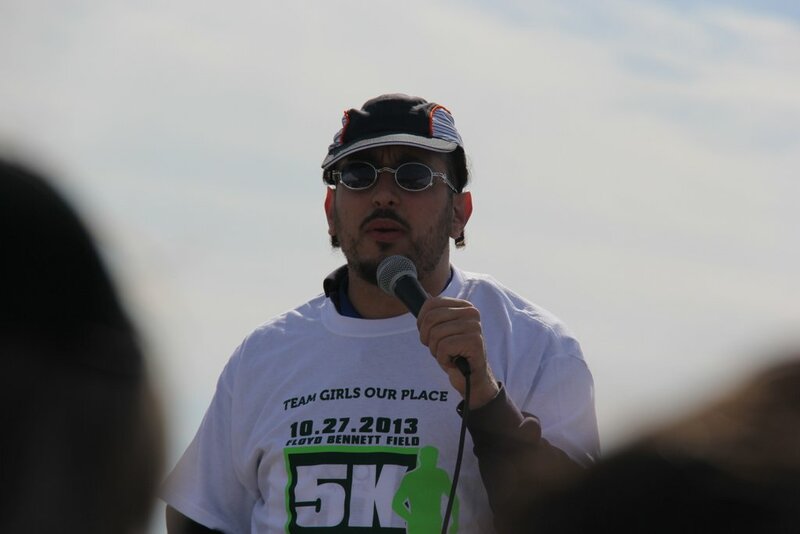 Superstar Lipa Schmeltzer, who fielded his own team in the race, praised Our Place for the vital role it plays helping teens from all segments of the Jewish community. 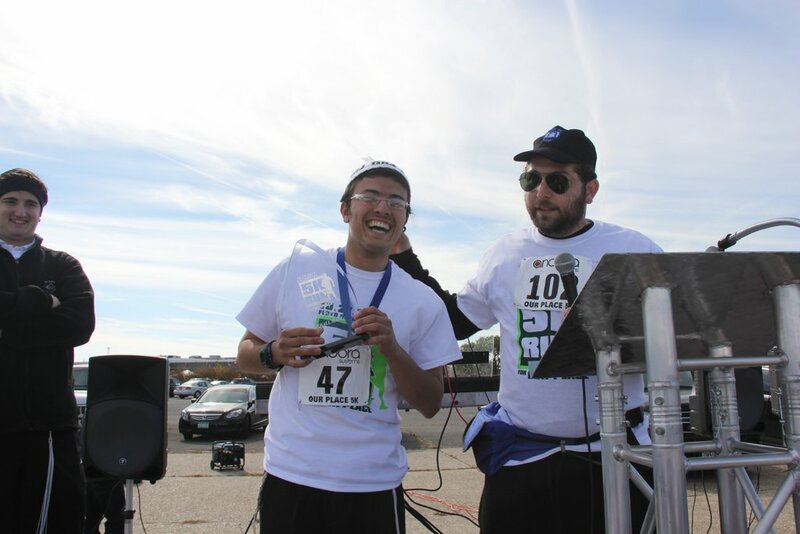 Organizers of the event expressed their gratitude to the many people who support Our Place on a daily basis as well as those who turned out for the 5K and vowed to continue to do their part for the many troubled teens who turn to them for assistance. “With the crisis in the streets growing annually, we were happy to see the community come out and show its support for Our Place and the work it does,” said Our Place co-founder Eli Verschleiser. For more information about Our Place please visit OurPlaceNY.org or contact Executive Director, Rabbi Aryeh Young at (516) 512-4494 or aryeh.young@ourplaceny.org. Great cause and fun day to help a Tzedakah. WAY TO GO ZALMAN LEIB!!!!!!!!!! !